View all buying options & sibling families for fonts included in the Core Sans NR Family. 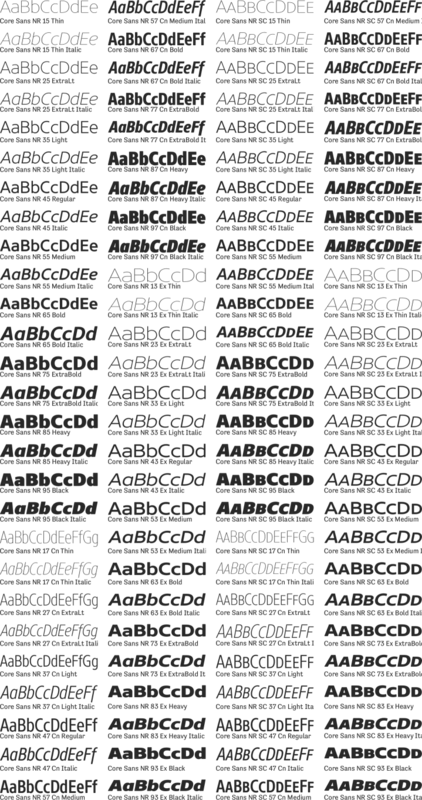 A one hundred and eight font family. 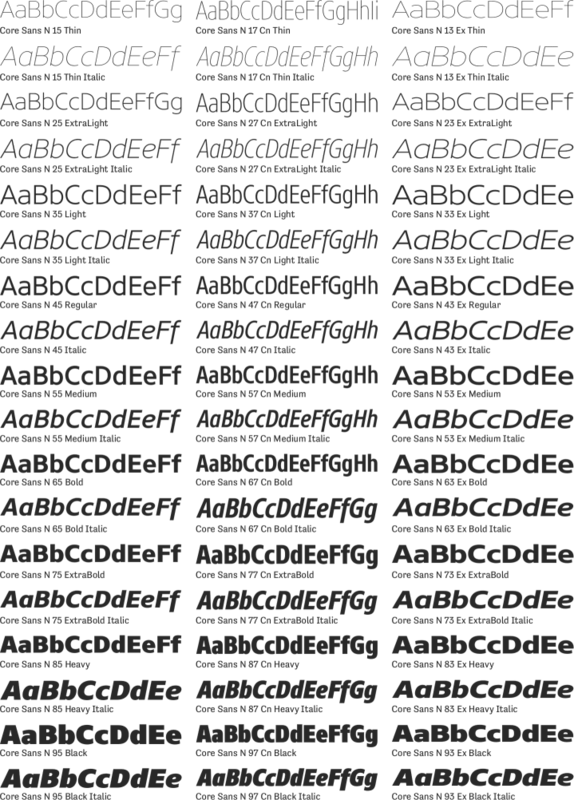 This contains every font in the Core Sans NR Family.